The 9 Series is the largest power range from AJ Power. Whether it be low or high voltage (3.3-13.8kV), our engineer’s can come up with a solution. The 9 Series comes in open set versions or can be supplied with bespoke sound attenuated weatherproof containers and enclosures. 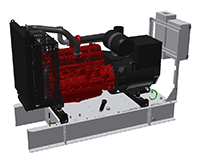 A wide range of technical additional options are available on these generating sets to ensure the ultimate solution. 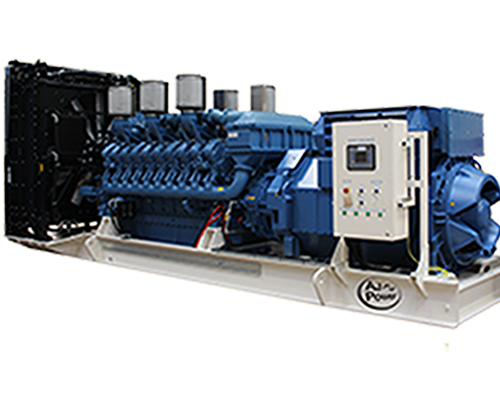 Offering a choice of MTU, Perkins, Cummins or Mitsubishi engines, the 9 Series can meet the demands of all you critical power requirements. Data Centres, Healthcare, Commercial, Industrial and Banking. Sorry no models are available within your search criteria. Please try a different search criteria. Ratings may vary depending on alternator choice. Consult datasheet/factory. To ensure world-class quality our engines are all manufactured in the United Kingdom, Europe, United States of America or Japan. All our alternators are UK sourced. 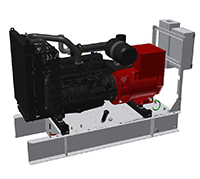 All the radiators that we use in our generating sets are European manufactured. Water contamination in fuel is separated out with the fuel/water separator. Full functional manual pack supplied with all generating sets. Removes contaminants in the air prior to entering the engine. Voltage sensing via one phase. Allows you to quickly stop the generating set in case of an emergency. 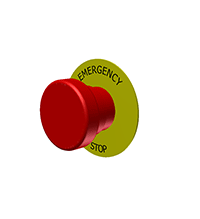 Pressing the emergency stop button causes the generating set to shut down immediately. Standard 30% antifreeze supplied with all generating sets. Upgade for colder ambients available as an option. Minimises disturbances on the generators output from interference caused by non-linear loads. Also known as RFI. 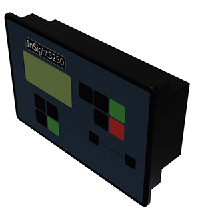 Record of events - Events recorder inSight3250 (100 x FIFO) InSight6000 (300 x FIFO) - Not available with InSight3000. Automatic control panel with electronic engine support as well as expansion and remote communication capabilities. An alarm activates on the control panel when it is time to service the machine. (hours until service is adjustable, default: 400) Standard on InSight3200/3250/4000/6000. If the voltage of the genset exceeds or drops below the nominal value, the machine alarms and shuts down. Standard on InSight3200/3250/4000/6000. If the frequency of the genset exceeds or drops below the nominal value, the machine alarms and shuts down. Standard on InSight3200/3250/4000/6000. 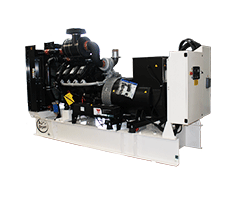 Allows easy drainage of coolant during service or maintenance. STD on canopy. Allows removal of lubricant during service or maintenance. Accurately controls the engine speed. Recommended for synchronising. Automatic control panel with electronic engine support, expansion and remote communication capabilities, power factor/kW measurement, real time clock and event history. 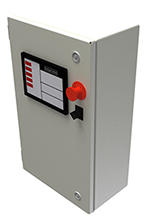 Automatic mains failure control panel (can operate the generator and mains circuit breaker in the event of a mains failure). Power factor/kW measurement, real time clock and event history Remote monitoring option available. Includes battery charger as standard. Recommended for generating sets working in cold, arduous conditions. 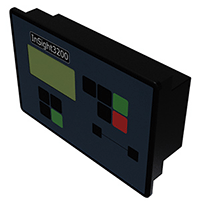 Used to program the InSight3200/3250 operating parameters. Used to program the InSight4000/ATSc (automatic transfer switch controller) operating parameters. This is our most advanced control panel. It is used for synchronising with the mains power supply or with other generating sets (maximum 32 sets). Includes battery charger as standard. The LS-5 is a synchronising and load sharing controller to be used in conjunction with InSight6000. 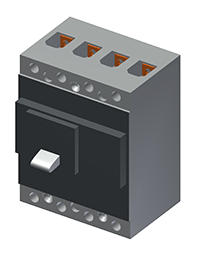 The LS-5 is designed to enable complex power management applications with multiple incoming mains and bus breakers. Supplied loose. 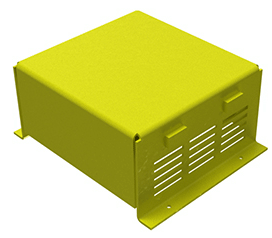 A modular panel mounted protection for generators operating in parallel to the mains supply. It incorporates a wide range of protection features and communication capabilities to safeguard both the power supplied and the generating sets. Works in accordance to G59 and G10. A 16-channel display unit for remotely indicating the status of a generating set fitted with an InSight4000 & 6000 control panel. 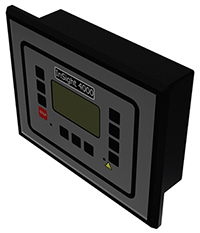 The annunciator communicates with the control panel and can be mounted up to 240 metres away from the generating set. 14 programmable outputs to suit your preferences. Remotely control and monitor the generator with a separate remote panel identical to the one fitted on the genset. Starts and stops the generating set at a predefined time each week. Not available on InSight3200. Provides the controller with 8 additional contacts which can be used as either inputs or outputs. Provides the controller with 8 additional inputs and 8 additional outputs. Raise or lower the voltage from the controller/control panel. 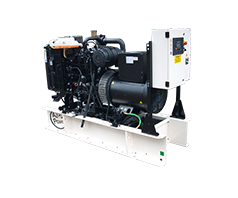 Protects the generator from importing power which will damage the machine. InSight3250/4000/6000 only. If the current on one of the phases exceeds the current on any of the other phases by a predefined percentage, the machine will produce a load imbalance alarm… InSight4000/6000 only. Programmable contacts for your required outputs. 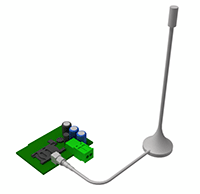 Remote communications plug-in module. 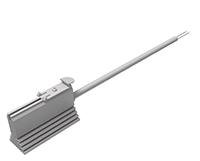 Ethernet interface/GSM/GPRS wireless remote monitoring with antenna. Alarm annunciation, SMS / Email / SNMP, remote control & data logging. Internet access of controller possible over Ethernet LAN / GPRS. Includes DPC Kit, SMA Quadband Antenna. 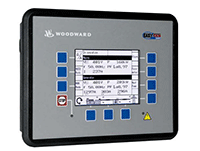 To provide automatic control of your standby generating set in the event of a power outage. 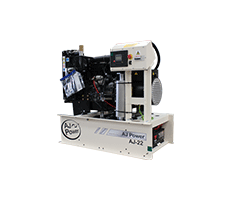 Available from 40A - 4000Amp. Refer to factory for further information. Helps the engine to start in cold weather. Assists in the removal of lubricant during service or maintenance. 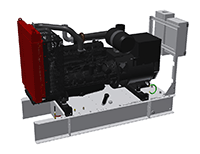 The genset will shutdown once the oil temperature exceeds a preset limit. Appropriate when the generating set is to be sited in a low ambient and/or high humidity environment, the heater maintains the air around the windings at a suitable temperature to prevent winding corrosion due to condensation. 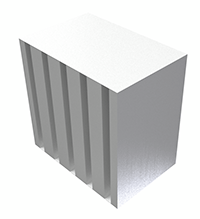 This is the ultimate solution to be used when the application or the environment is abusing the insulation of the generating set. Also includes an overcoating of all the rotating active components. Alternator factory fitted - additional lead time. Refer to factory for further information. RTD's. Alternator factory fitted - additional lead time. Refer to factory for further information. Change standard alternator to Newage Stamford alternator. Open sets only. 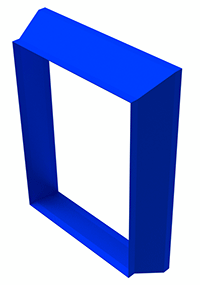 Allows ease of fitting of transition during room installations. Open sets only. Used in removing hot air from room installations. Open sets only. Used for reducing noise. Supplied loose. Open sets only. To prevent water and dust ingress in conjunction with sound attenuator (room installations). Coolant solution for ambients down to -36degC. 50% antifreeze. Automatic low coolant temperature alarm at pre-set temperature level. Not available with InSight3000. Automatic high coolant temperature alarm at pre-set temperature level. Available with InSight4000/6000 only. Automatic low coolant level alarm at pre-set low level measurement. Not available with InSight3000. Essential kit for mounting an industrial silencer during installation. This kit is supplied loose and includes 2 x cuffed elbows, 2 x support brackets, 6 x clamps and 1 x rain cap. Essential kit for mounting a residential silencer during installation. This kit is supplied loose and includes 2 x cuffed elbows, 2 x support brackets, 6 x clamps and 1 x rain cap. MCCB up to 1600Amp. 2000Amp and above are ACB. Provides the controller with an indication on the current circuit breaker position. 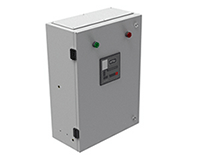 Enables the automatic operation of the circuit breaker throught external signals. i.e. open and close signals from the genset controller. 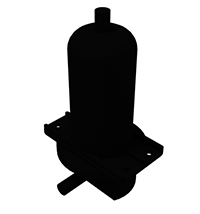 Provides protection for the main output breaker, complete with shunt trip. Detects unbalanced current between the phases of the machine and the neutral, resulting in the circuit breaker tripping open and the machine being shutdown. 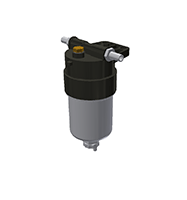 A lever is placed directly after the battery which is used to isolate the batteries from the machine. 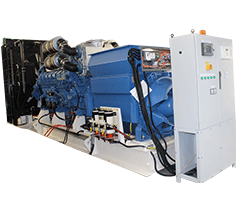 Keeps the genset starting batteries full of charge when the machine is not running. Includes BC failure. 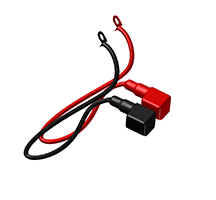 5A 220/240 Volt. Keeps the genset starting batteries full of charge when the machine is not running. Includes BC failure and boost. 220/240 Volt. 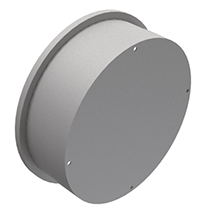 Increased sound attenuation with container option. Bespoke containers available throughout the range. Additional guarding on exhaust manafolds. Certificate of compliance. Additional operator manuals for workshop/service personnel.